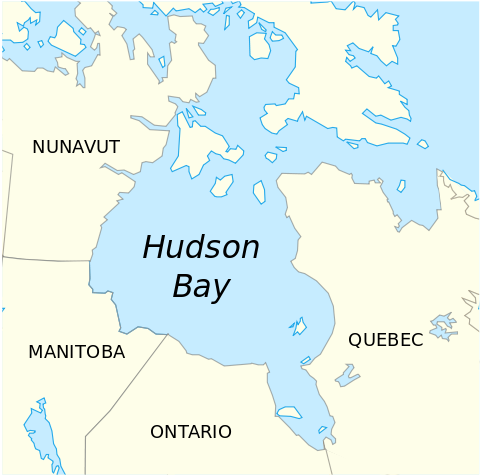 (P1) The Hudson Bay is a large body of water in the northeastern part of Canada. It has an area of about 1.2 million square kilometers and is connected to the Atlantic Ocean. The Hudson Bay is very shallow. Although it is a part of the open sea, the salt level of The Hudson Bay is low because many rivers bring fresh water into the bay. While the eastern coastline is rocky with many islands, the western coast is low and swampy. (P2) Canada’s greatest body of water lies in the middle of the Canadian tundra. The Hudson Bay is, geologically, the center of the Canadian Shield, an area of Canada that consists of old rock formations. The weight of the ice during the last Ice Age lowered the surface of the land. After the ice had melted, water filled the bay. Are there any big bodies of water in your country? If yes, describe one. Are there rock formations in your country? If yes, describe one. What are some large bodies of water in the world? In what part of Canada is the Hudson Bay located? The western part of the Hudson Bay is ___________ and __________. The water in the Hudson Bay originally came from what?